Along with the New Year’s ample opportunities for making new resolutions and to-do lists, there always comes the somewhat embarrassing task of reviewing the previous year’s resolutions and seeing what we did and did not do. Last year, my list involved 5 new items I wanted to try making from scratch. I succeeded in making pasta from scratch as well as perfecting my hummus recipe. 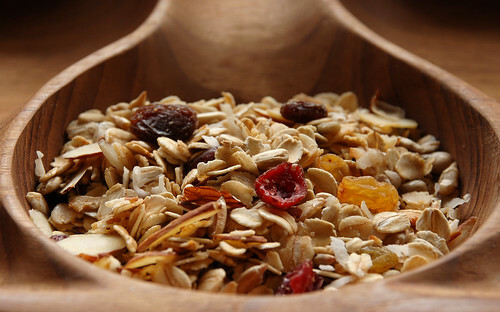 I did experiment with granola, although I never blogged about it. However, I never got to making my own bagels or yogurt. They’re still in my mind. Especially the yogurt. So here’s my new list including a few items where I failed last year. So thank you 2011 for a second chance! I love yogurt and I eat a lot of it. Ever since I stumbled across a recipe for making your own yogurt in one of my favorite cookbooks, I’ve had this on the top of my to-do list. I didn’t get to it last year and its been sitting there for too long, so this year it’s a must. I’ll let you know how it goes. PROMISE! 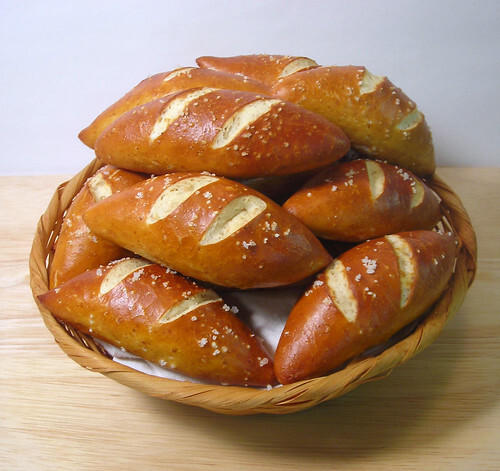 In addition to bagels, I’ve been thinking about pretzel bread a lot as well. So this year, I’m going to experiment with boiled breads. I’d better have some mustard ready! This one hits two birds with one stone: trying something new and eating better. I’ve been wanting to grow my own sprouts for a while ever since I read about how easy it is to do in your kitchen. I’ve been putting it off, but the time is now. OK, I admit it. 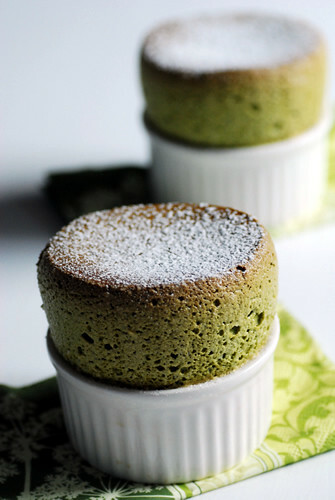 I’ve never made a souffle. I will prove my chops this year by giving one a try. Hopefully it will not be to small or too tall. 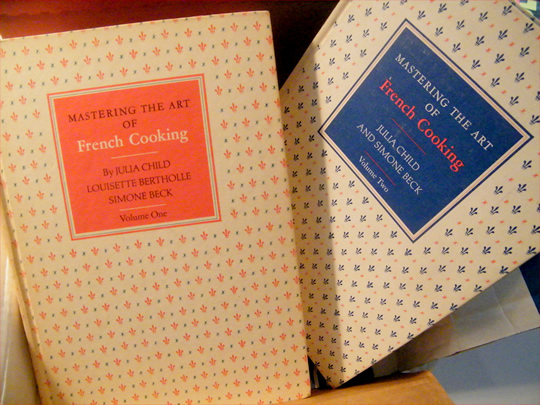 This year I vow to make every recipe from Julia Child’s Cookbook, Mastering the Art of French Cooking. HA! Ya right. My name is not Julie and I’m not really that into following a single recipe let alone an entire book. However, this year, I vow, to open this book and at least read a few pages. How is that for being realistic! 2010 has started as many other years; lazy and full of resolutions for tomorrow. I’ve been a bit slow on the uptake to get back on the blogroll this year, but that doesn’t mean I haven’t been thinking about food. While spending the holiday weekend laying around in my pajamas, I’ve been compiling my New Years list of food frontiers to explore. Forkable is all about food from scratch, so here’s a list of five foods we’d like to scratch off our 2010 To-Do List. Without a press, most standard Italian pasts are very difficult to make. I’ve made basic pasta like gnocchi before, but I’ve never been successful at keeping it from being slimy. This Christmas, Santa left me a Kitchenaid Pasta maker under the tree, so I’m not going to waste too much time laying to test this bad boy out! Also, I got a bone to pick with some slimy pasta. I’m gonna conquor the gnocchi this year too. I love yogurt and I eat a lot of it. 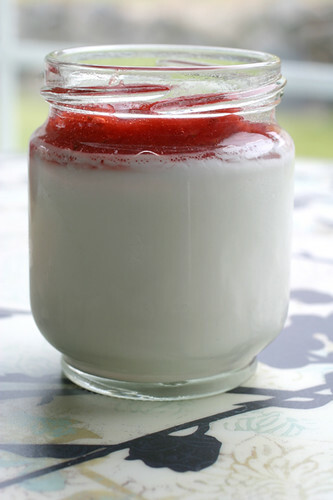 Ever since I stumbled across a recipe for making your own yogurt in one of my favorite cookbooks, I’ve had this on the top of my to-do list. Its been sitting there for too long, so this year it’s a must. I’ll let you know how it goes. Sure, I’ve heard Granola isn’t hard to make, but I never have. I’m sick of spending my hard earned bucks on Nature Valley’s granola bars, when I could just make it cheaper myself. If anyone knows any good recipes, send them my way! Ok, you got me. This is not a food frontier for me. I have made hummus a million times before. However,I’d never eaten real Hummus, until I noshed on my Palastinian friend Hanah’s Hummus, and saw that the chunky pasty mess I’ve been making is PALTRY substitute. This year I vow to master the art of an authentic creamy hummus! 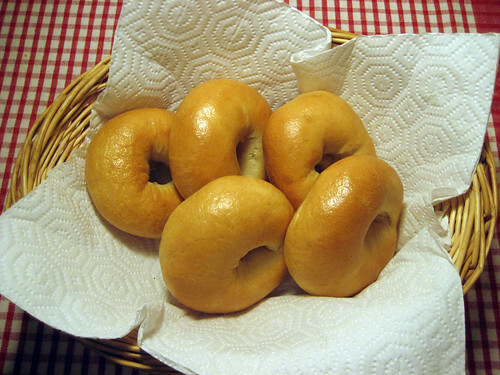 Bagels are another thing we eat a lot of. A post I read months ago on The Bite Me Kitchen, keeps popping up in my mind asking me why I haven’t. Its time to get on this! 2010 here I come.